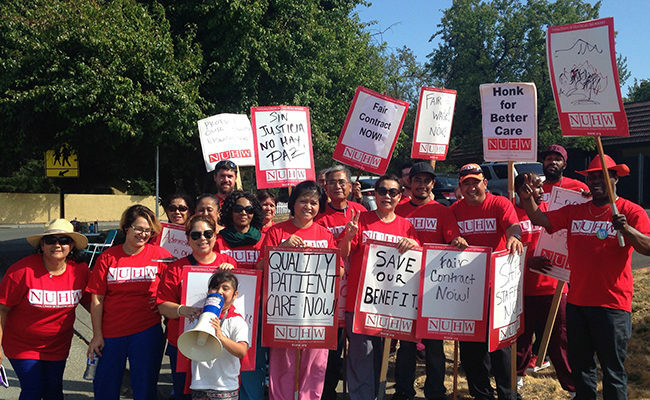 Employees of the largest nursing home operator in California manned picket lines in Marin County Tuesday after Brius Healthcare refused to finalize contracts for the caregivers unless they took down their watchdog website: BriusWatch.org. 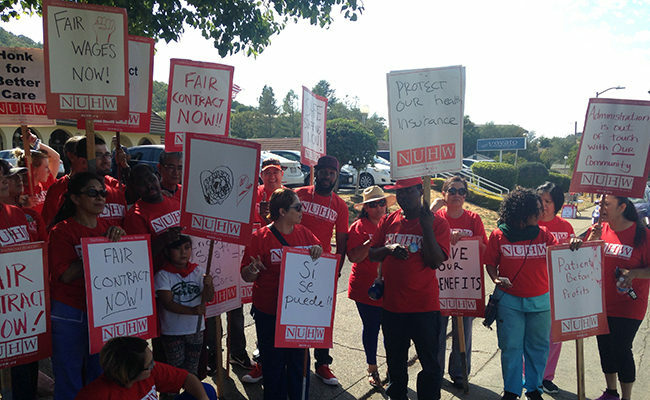 Dozens of workers formed picket lines and chanted outside the San Rafael Healthcare and Wellness Center and the Novato Health Center. Several residents of the homes took part in the action. 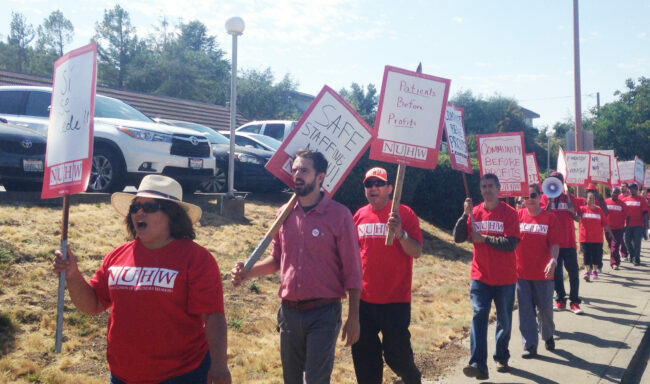 Numerous allies attended the picket lines including Marin County Supervisor Damon Connolly, former Richmond Mayor Gayle McLaughlin, and representatives for Assemblymember Marc Levine, the North Bay Labor Council, SEIU 1021 and the Marin Association of Public Employees. Also stopping by in San Rafael were representatives from the California’s Attorneys General Office’s Medi-Cal fraud division. Brius Watch is regularly viewed by federal and state regulatory and law enforcement agencies including the U.S. Department of Justice, U.S. Department of Housing and Urban Development, U.S. Department of Health and Human Services, California Department of Consumer Affairs, California Franchise Tax Board, U.S. Social Security Administration. 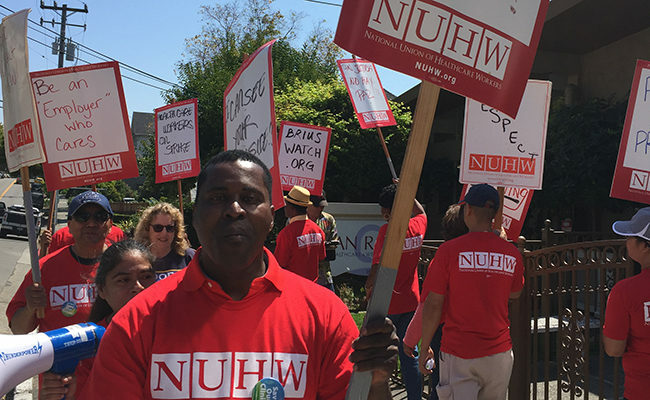 Brius and the caregivers represented by the National Union of Healthcare Workers were close to agreeing on at both facilities before Brius representatives illegally demanded that the union take BriusWatch off the internet. The union filed unfair labor practice charges against Brius, noting that websites cannot be included in collective bargaining. 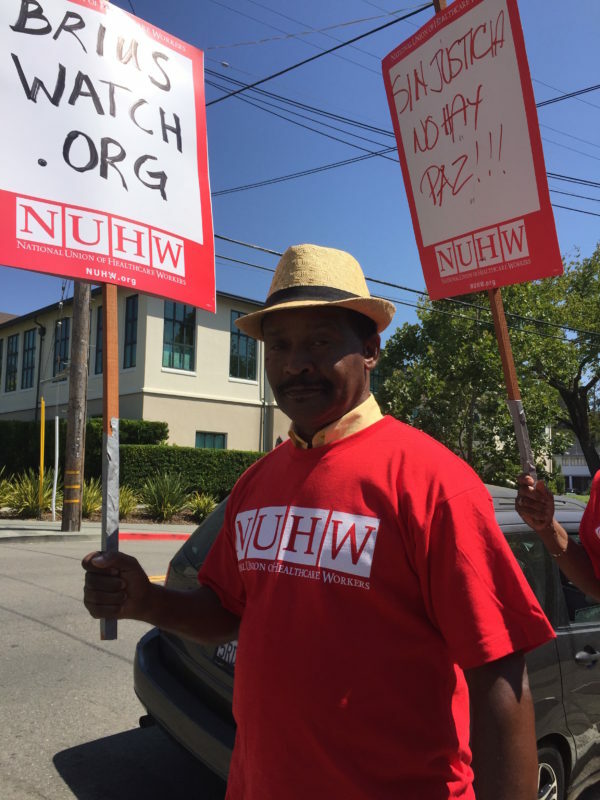 Many of the striking caregivers have gone up to five years without raises, but they are leery of agreeing to take down the watchdog website when Brius continues to leave their facilities understaffed and under-resourced. 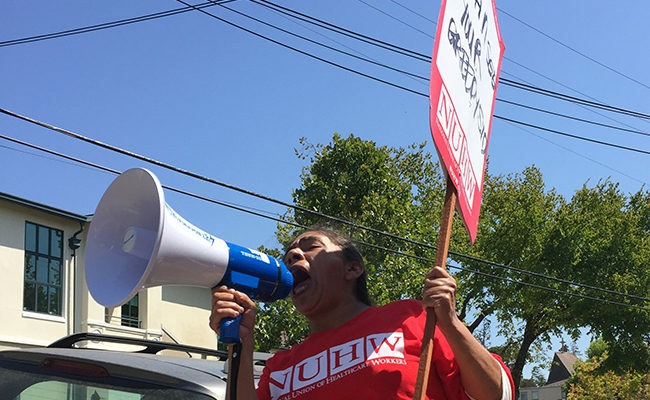 Since 2015, regulators have cited the San Rafael home for stocking expired food and supplying so few towels and wash cloths that caregivers have had to use paper towels to dry residents. 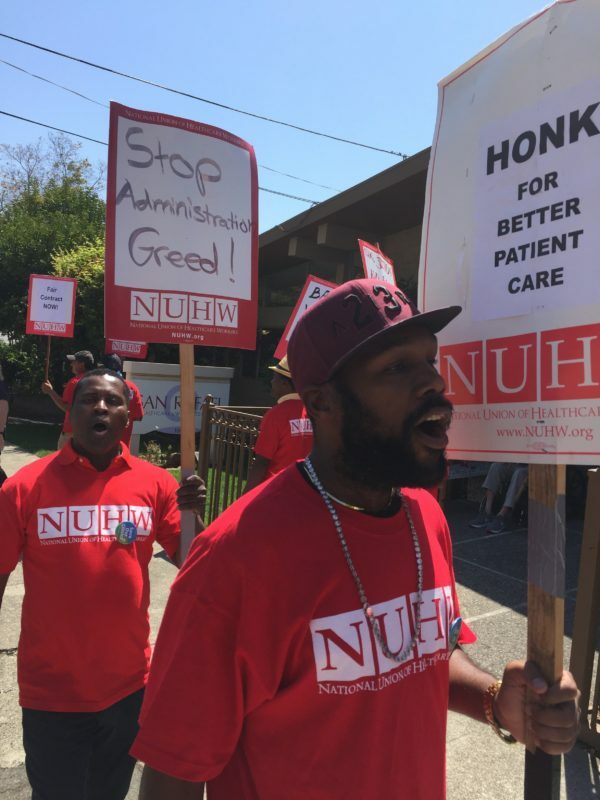 Earlier this year, the California Department of Public Health fined the facility $15,000 for failing to meet minimum staffing levels for nurses and nursing assistants.